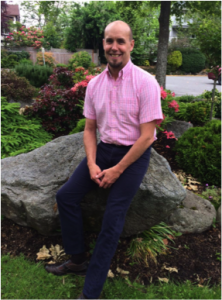 Canadian Yearly Meeting (CYM) is delighted that Timothy Kitz has accepted the role of CYM Editor (maternity replacement). Timothy is an attender of Ottawa Monthly Meeting and brings rich experience to the role (more on that below). 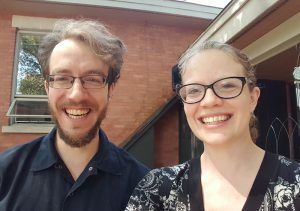 In his one-year contract as editor, Timothy will be responsible for producing The Canadian Friend and uploading content to the Quaker.ca website. Timothy will begin on September 18, although he has already begun to get oriented to the role. He will have a period of overlap with the existing editor, Reykia Fick. Timothy and Reykia will work together on the fall issue of The Canadian Friend (deadline for submissions: September 25). My name is Timothy Kitz, and I’m excited to come onboard as the CYM Editor. I see both The Canadian Friend and quaker.ca as forums where Canadian Friends can discern what the Spirit is saying today, and as practical means by which we can knit ourselves together as a community across a vast geography. That’s important work; please help me as I help it happen. As for who I am, to start with, I’ve been an attender of Ottawa Monthly Meeting for about six years, with a few months at Toronto Monthly Meeting before that. A visit to the Worship Group at the Possibility Alliance in Missouri – a permaculture community living joyfully without petroleum and electricity – was my first crucial contact with Quakers. I grew up in and have spent most of my life in the Kitchissippi watershed, the traditional territory of the Algonquin Nation. I’ve worked and volunteered with several non-profits, which has seen me working with people with intellectual and physical disabilities, as well as homeless and Indigenous folks. I’ve also been part of three intentional communities. More recently, I’ve failed as a market gardener and have decided to focus on playing with words – AKA, free-lance editing, something I’ve done on the side for four years. I’m a big music nerd and I make experimental comics for fun. I’m at least as inspired by Socrates, anarchism, and the Dao de Jing as I am by Jesus of Nazareth and John Woolman. Submissions? Web posts? Comments / questions / suggestions? You can reach Reykia or Timothy at editor@quaker.ca. 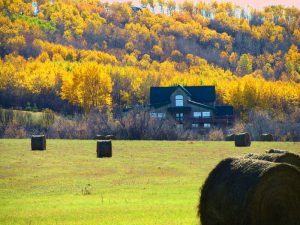 The 2017 Fall gathering of Western Half-Yearly Meeting will take place on Thanksgiving weekend (October 6-9) at the Shekinah Retreat Centre north of Saskatoon. We invite all Friends and friends of Friends to join us in this warm, intimate gathering. The usual items will all be included in the Half-Yearly Meeting schedule (worship-sharing groups, special interest groups, Meetings for Worship including Business Meetings, and the phenomenal Family Night sharing of talents and fun). Shekinah also offers us the chance to ride the fabulous “Flying Fox” zipline that has excited Young Friends of all ages (from about 4 to about 80) over the years. This year’s gathering will have a theme of Truth and Reconciliation, and will include the interactive Kairos Blanket Exercise on Indigenous history on Saturday evening, led by Elder Josephine Worm and Dale Dewar. Jolee Sasakamoose, an Indigenous professor at the University of Regina, will lead Meetings for Healing on both Saturday and Sunday. We particularly encourage Meetings who have been working on the Truth and Reconciliation Calls to Action to send representation so that we can discuss how to continue and deepen our work together. Friends usually try to arrive on Friday evening (and late into the night), with activities all day Saturday and Sunday, and depart after a short closing Meeting for Worship on Thanksgiving Monday. Saskatoon Meeting typically provides soups and breads that registrants can eat for dinner on Friday night. Meals on Saturday and Sunday (and Monday breakfast) are cooked by Shekinah staff and shared in close fellowship. Accommodations are bunk-room style (with various numbers of occupants per room) in a lodge, or alternatively there are campsites available. Pillows, linens, sleeping bags/blankets, and towels are not provided. Driving directions are available here; it may be possible to arrange rides or shared transportation. We hope that you will join us in Shekinah for Thanksgiving 2017! Please be aware that WHYM’s bank account is almost dry. We encourage Friends to approach their meetings for assistance in attending the gathering at Shekinah. We have also added a donation line to the registration form. If you are able to give more, it will help us with the subsidy we are providing for Young Friends to attend. Note that if you are camping, you will also need to pay the day registration rate. All children under 4 will not be charged for registration or accommodation. We greatly encourage meetings to print and share the info and pdf registration with Friends who are not online. Please enable these forms to be scanned and emailed or Beth is happy to fill out forms for folks over the phone (306-540-2384). Forms can also be mailed to Beth at Box 909 Wynyard SK S0A 4T0. Please direct any questions to Beth at bassish@gmail.com. Cameron Fraser has just taken on the new role of Canadian Yearly Meeting Secretary. I am exceptionally enthusiastic about beginning this role, and warmly greet you as Canadian Yearly Meeting (CYM) Secretary! The beginning of this role is a new chapter for CYM and myself. I have worked as a public school teacher and principal for the last fourteen years, and am deeply grateful to turn my energy and work toward supporting my faith community. I had an opportunity to connect with Friends at the beginning of the summer while attending CYM Representative Meeting (Rep Meeting), Camp NeeKauNis as a representative of Education and Outreach Committee (E&O), and Friends General Conference (FGC) Gathering. I felt incredibly supported by Friends at Rep Meeting; the process seemed to lay the grounding for the commencement of my role as Secretary. I travelled from Rep Meeting to Camp NeeKauNis to connect with the Young Friends and Young Adult Friends (YFYAF) to communicate E&O’s commitment to supporting them along their spiritual journeys in a manner that suits them. I was greatly impressed by the number of Young Adult Friends in attendance, as well as their commitment to their spiritual community. YFYAF engaged in a number of Meetings for Worship for Business and were incredibly grounded in their approach and decisions, which included a deep commitment to building community. I then travelled with a delegation of Young Adult Friends down to Niagara Falls, New York, to attend the first half of Friends General Conference Gathering. The conference was inspiring both on an operational front and as a community gathering. I made a number of significant connections with Quaker administrators, and took note of practices that CYM might utilize and/or learn from. I returned home to Victoria, British Columbia, where I spent the rest of July enjoying summer with my young family. My wife Angela and I have two children, Ilia and Bryn, ages six and four respectively. Our family loves tent camping, as well as water and wheel sports. We spent a few weeks camping on Vancouver Island and visiting lakes, beaches, skateboard parks and bike parks. I began my role as Secretary August 1, and have been working with Elaine Bishop, Mentoring Clerk of CYM, and Kerry MacAdam, CYM Office Administrator, to orient myself to the world of CYM. My overall mandate is to “foster growth and deepening of Quakerism within” CYM. This includes supporting CYM and Canadian Young Friends and Young Adult Friends. I look forward to building closer bonds with Meetings and members of CYM and collaborating with Education and Outreach and Finance Committees, Lorraine Burke, the CYM Bookkeeper, and other CYM Committees as way opens. My orientation will include a trip to Ottawa to meet with Kerry and Lorraine to work on how we build a collaborative CYM staff, while I am working in Victoria, and they in CYM’s Ottawa office. I am especially excited about building toward CYM 2018 in Barrie, Ontario. I will be working closely with the Clerks’ Committee, my formal oversight committee, to set priorities, direct my energy and maintain a sense of the pulse of CYM. The Clerks have had a special concern about effective flows of information throughout CYM, so I will be working with Kerry to support this. I look forward to working collaboratively with Kerry to support CYM administration. The CYM Clerk(s), Kerry and I will regularly communicate to keep one another abreast of CYM concerns and operations as well as to ensure there is no duplication of efforts. The establishment of a CYM Secretary is not changing the role that Kerry has so ably performed for the past 20 years. Kerry will continue to field most administrative questions, and will forward to me any correspondence needing my attention. I can be reached directly by email at cym-secretary@quaker.ca. I want to express my appreciation, in advance, to Canadian Friends for their patience and understanding as we move forward developing this new role, which may involve the prioritizing of requests. I very much look forward to working with everyone to strengthen Canadian Yearly Meeting and our faith community!